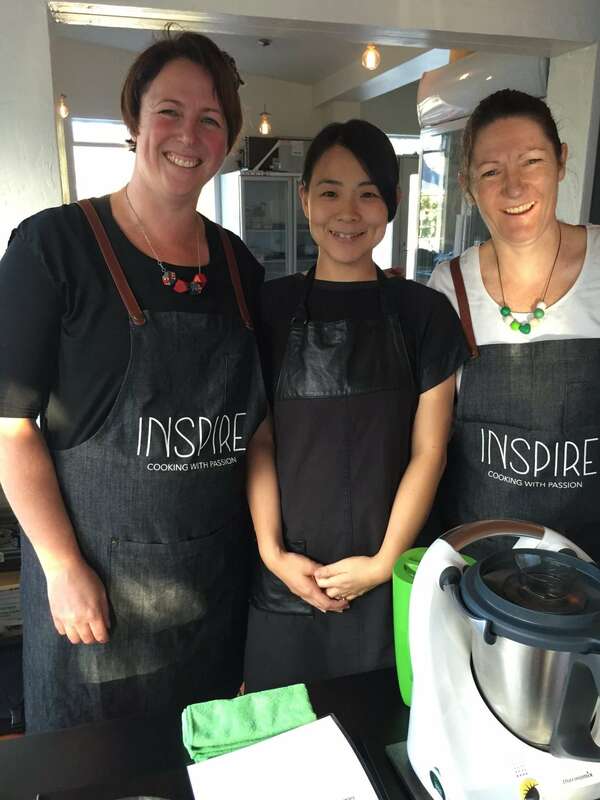 We had a most enjoyable evening at Three Japanese restaurant with our INSPIRE aprons on. 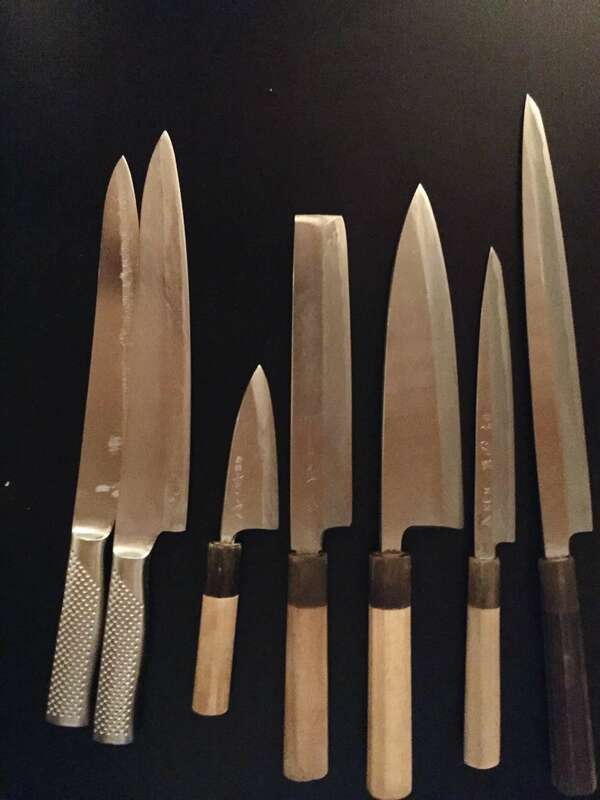 Owners Yasuko & Ken were so generous with their time & knowledge. This is the 3rd class we have run with them, but the first one in their new location in Battery Point. 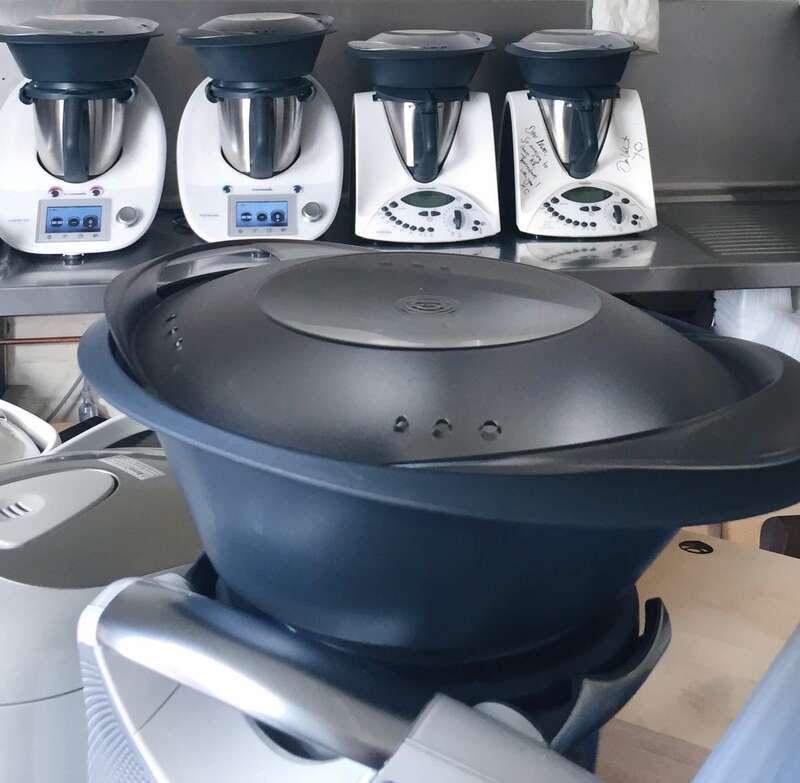 We first met Yasuko when she bought her first Thermomix, she loved it so much that she kept taking it back & forward to the restaurant & then decided they had to buy one another one for the restaurant. 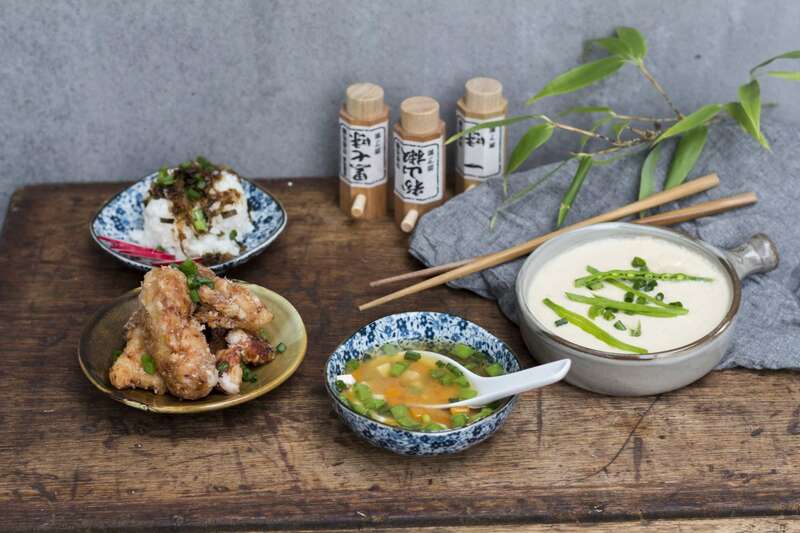 I just love how passionate Three Japanese are about sourcing quality ingredients – even the crockery is sourced from their home town Saga in Japan. Ken (Norikazu Hirai) and Yasuko (Yasuko Hayashi) first met at high school in Japan in 1997 whilst playing soccer. 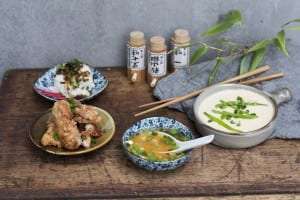 After graduating from high school, Ken started working in a kitchen in Japan, where he learned a variety of cooking styles, he arrived in Hobart in 2012 on a working (surfing) holiday. Yasuko moved to Osaka to go to university and her first visit to Hobart was through the exchange Uni program. She then took every opportunity to be in Hobart (8 visits!!) until she finally moved here in 2009. Ken and Yasuko remained good friends throughout this time because of their love of great food! 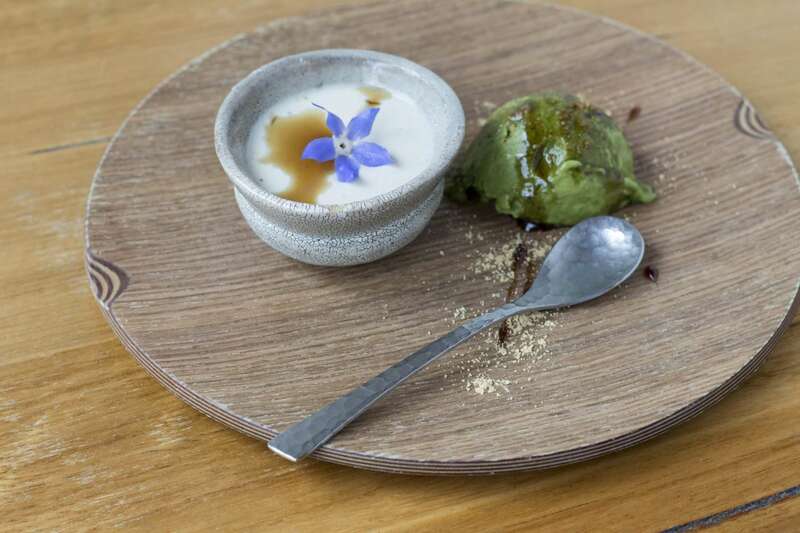 In 2014, they realised their dream when they had an opportunity to start a restaurant together with Yasuko’s partner Yuya who had been a baker in Japan & then graduated from Drysdale, he was working as a chef at the Source Restaurant (MONA). 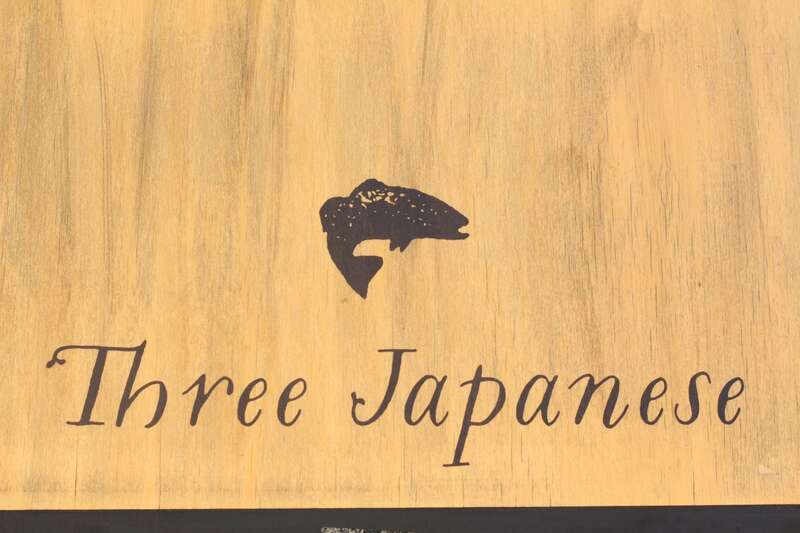 This is why they called the restaurant – ‘Three Japanese’. They love fresh, real food, and use only real Japanese ingredients and freshest local veggies, fish and meat to make delicious authentic Japanese food. We set the tables ready for our class, everyone was provided with a recipe booklet to take home & emailed a copy in an eBook format. 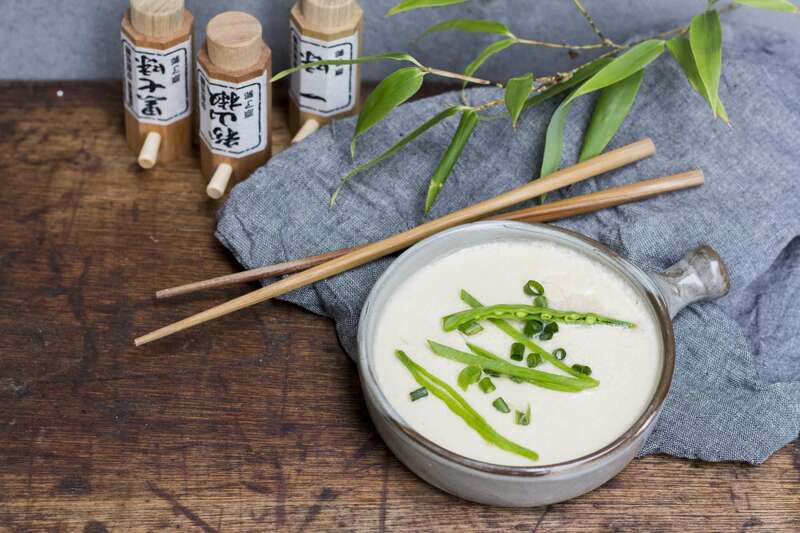 Chawanmushi had been specially requested & put onto the menu for the night. It is not currently on the menu because they don’t have a commercial steamer at their new venue so we had to bring as many Thermomix as we could to the restaurant as we could to steam approx 20 savoury custards. We had 6 Thermomix in the kitchen & one set up in the dinning room to demonstrate through the class. It was well worth it though our guests loved tasting the dish & learning how to cook it. I showed our guests how to make the dashi stock using shaved dried bontio fish flakes & kombu (seaweed). 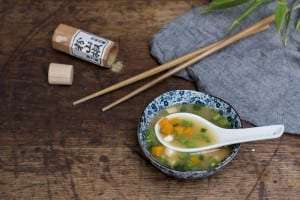 Dashi is the base for a lot of Japanese dishes so it is important as usual to use the best quality ingredients you can get. You can buy powdered dashi but you won’t have that quality & depth of flavour. 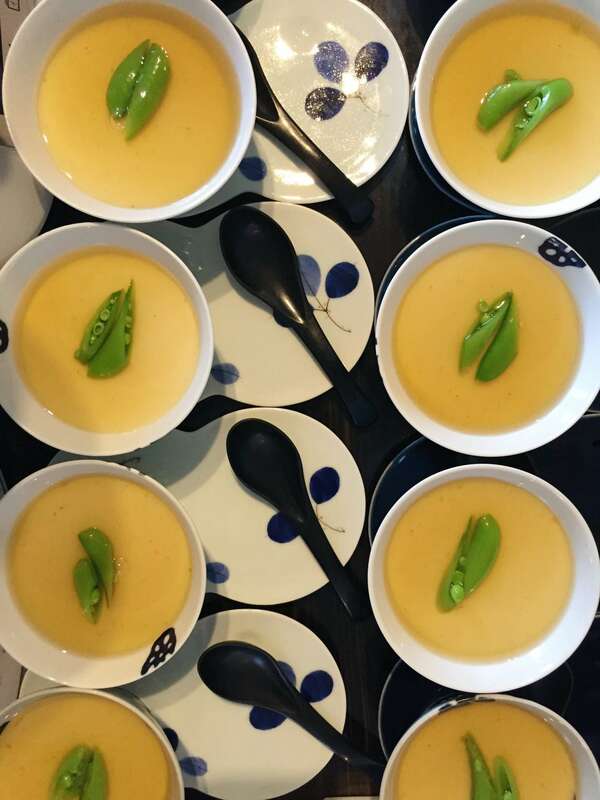 We also used the dashi to make the traditional miso soup demonstrated by Yasuko. 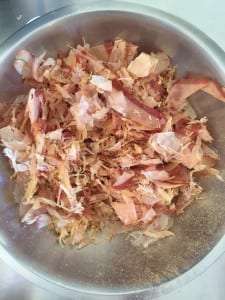 The kombu & bonito are not thrown out after making the dashi stock you can then use them with mirin to make tsukuduni a delicious preserve served with rice. 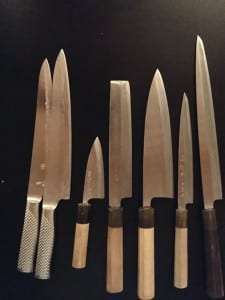 Ken our chef came out & demonstrated the tsukudani to the class & showed us his awesome knives. We also showed guests how to make the karaage chicken it is one of the most popular dishes on the menu and very easy to prepare at home. 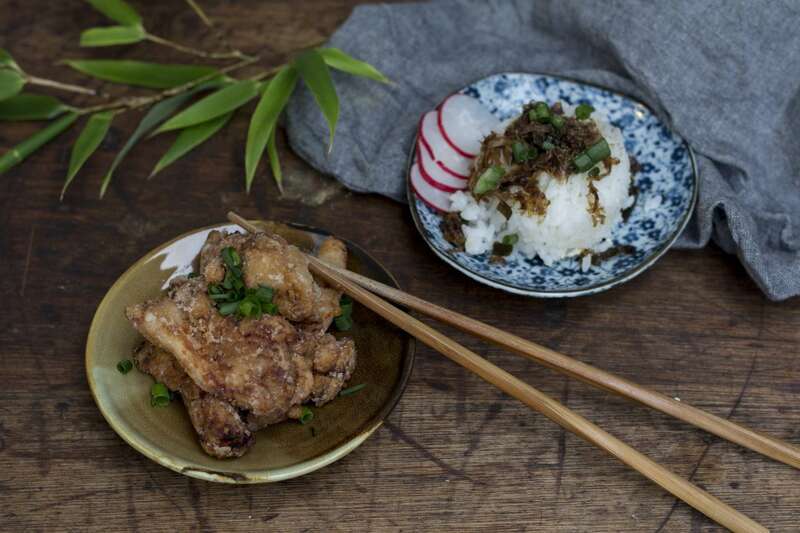 The chicken is marinated for approx 1 hr & lightly coated in potato flour & deep fried. We also came up with some other ways of using the same marinade, either steaming, baking or grilling the chicken. Then Charlie showed guests how to make the sesame pudding & we learned how to make the Japanese brown sugar sauce. 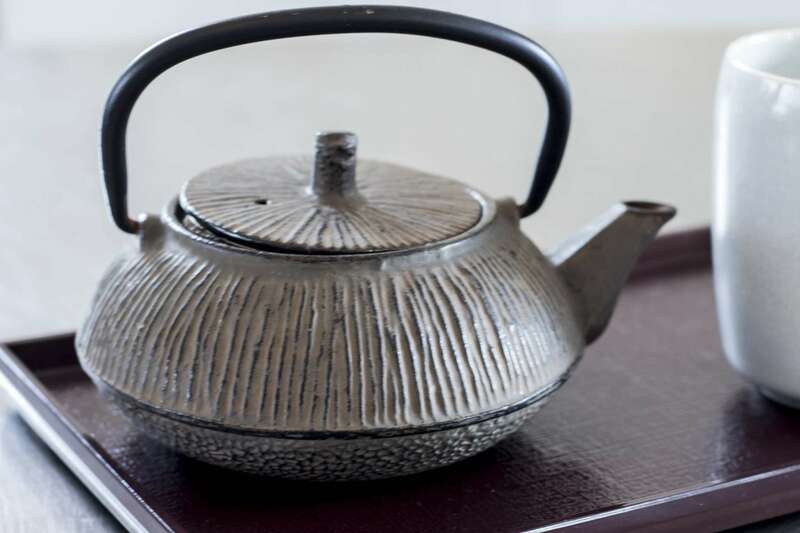 The brown sugar is sourced from Okinawa in Japan. 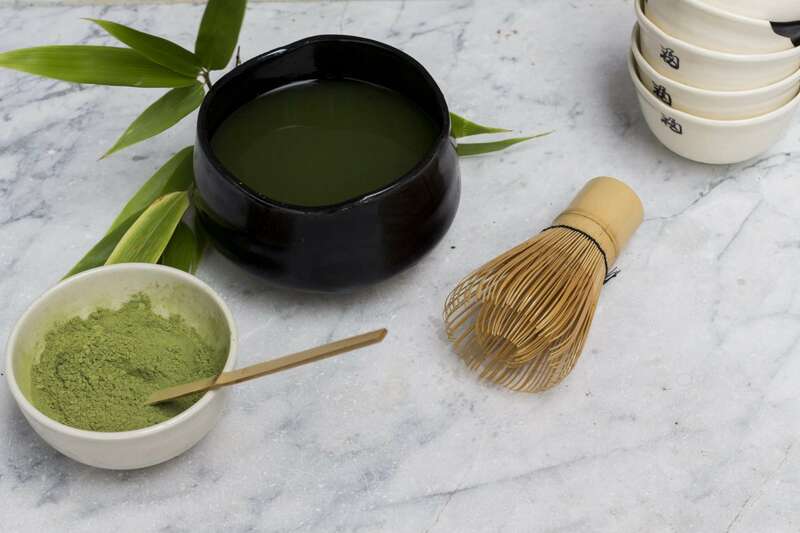 Yasuko also showed us how to make matcha green tea – this is the tea that is traditionally used at Japanese ceremonies. 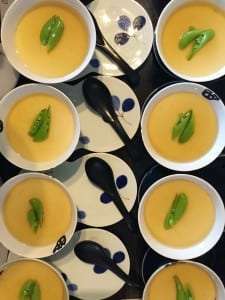 Our guests left full of delicious food & inspiration to cook some of the dishes at home, they could even purchase some ingredients to take home with them. 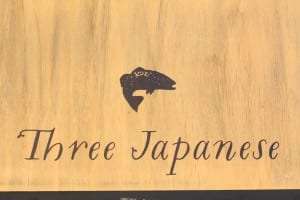 We are so grateful to have the the opportunity to work with Three Japanese again, their passion for their food is infectious. 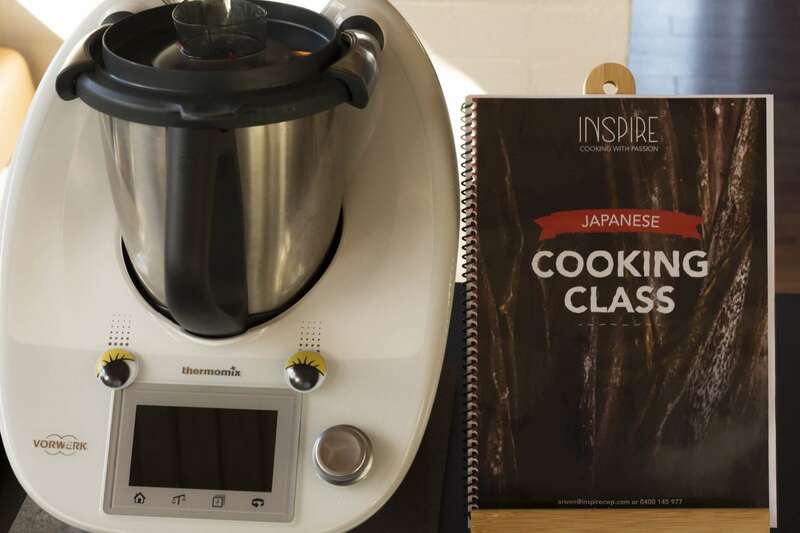 When’s the next Three Japanese cooking class? 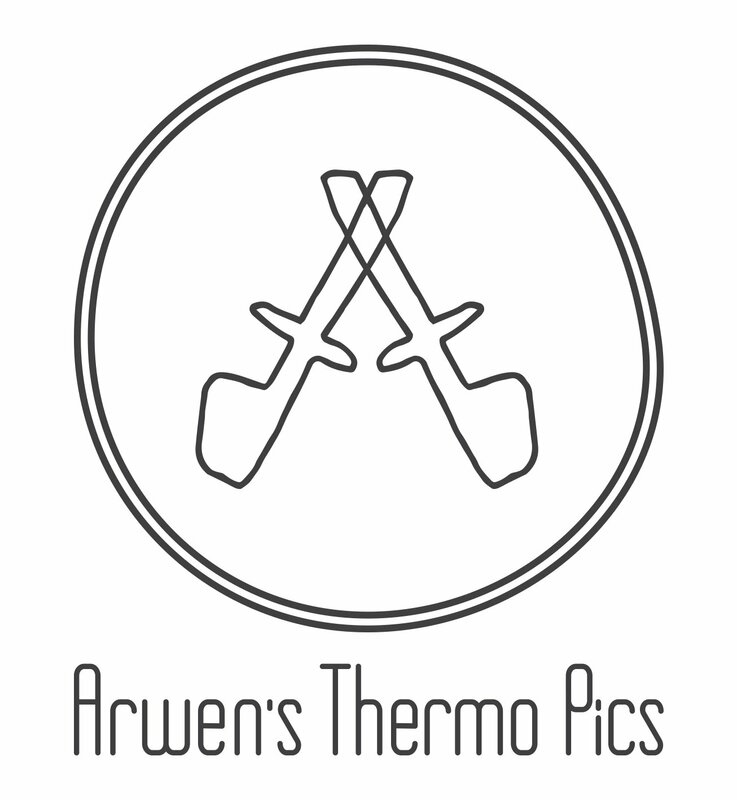 We are hoping it will be on the Monday 30th May, I will get in touch with you again when I have the full details. I hope you got the email I sent with the info about the class on the 30th? 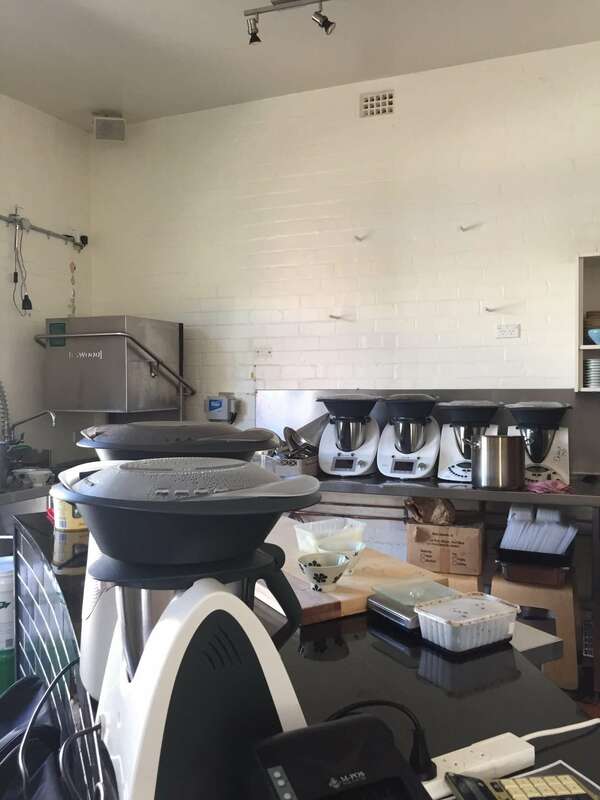 Hi – I’m wanting to get a good recipe for miso from scratch (bonito and all) for my new thermomix tm5. So excited to see your post. So disappointed to see you are in Tasmania! Happy to go on your mailing list with this email – my husband is a fly fishing tragic so a cooking course could be something for me to do while he’s at the lakes! Is it possible to get an e-book for Japanese recipes using the Thermomix. 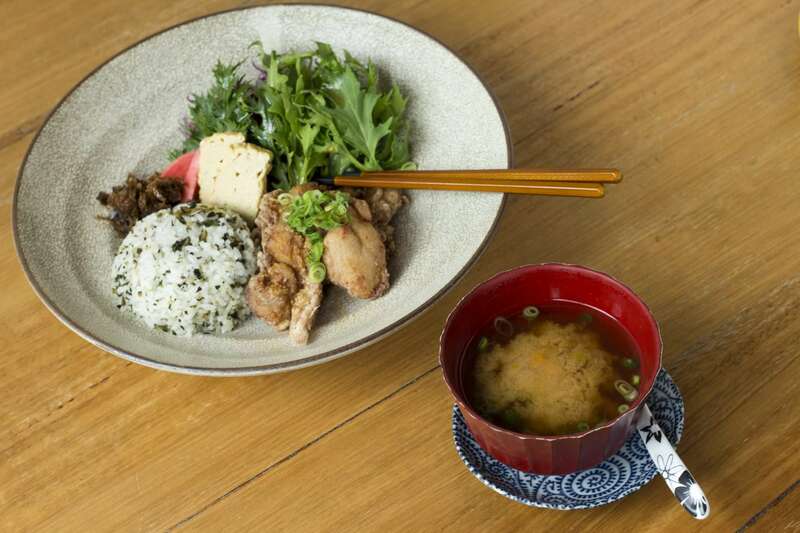 I miss my Japanese food now that I am living back in Australia. this page while trying to find Japanese thermy recipes! I would LOVE a copy of the e-book please! I’m Australian but my soul is half Japanese. Always has been. If I wasn’t Catholic I’d maybe believe I was Japanese in a past life! Hi I would love a copy of your book. I have been searching high and low for Japanese Recipes for the Thermomix! Hi Silvy, I hope you enjoy the recipes I have emailed to you.